I was online Monday to see MLB.com and MLB Pipeline writer Teddy Cahill take some Blue Jays questions on Twitter. 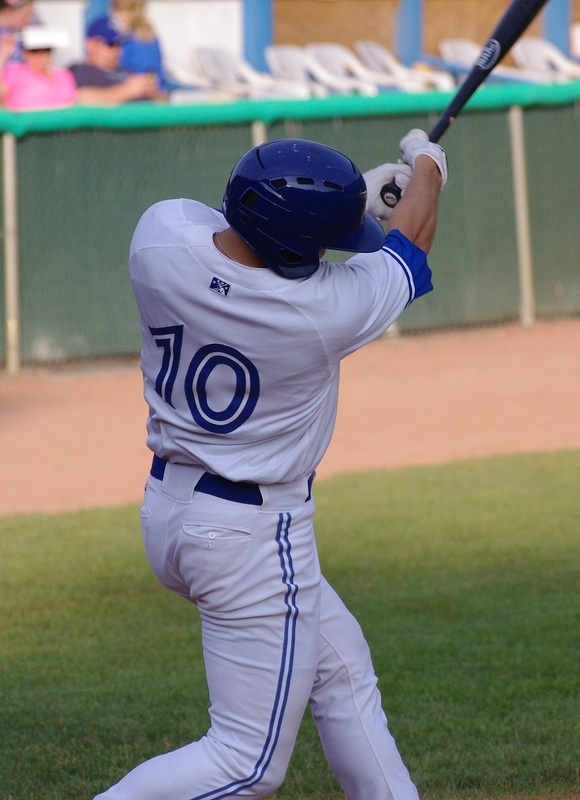 I thought it would be an interesting way to focus some thoughts on the Blue Jays minor leaguers (especially since I’ve been writing so much about them lately) to offer my own opinion on the questions and his answers. Cahill also wrote an article on MLB.com that includes 3 questions with Kevin Pillar as well as some other information that, in all honesty, didn’t provide much that was new. Cahill did confirm what we’ve been saying since September: that the Blue Jays will be going with a piggy-back pitching situation in Lansing for the first half of the year or so. I’ve been saying that that was going to happen for months now because all logic pointed to it. With at least six high-upside young pitchers ready to move up to that level (Labourt, DeJong, Tirado, Robson, Dawson, Gabryszwski), there just wouldn’t be enough room to have all of them start in a normal situation. The additional fact that the Blue Jays don’t want them all to jump to 120-140 innings this year made it pretty obvious that piggy-backing would be their only option. 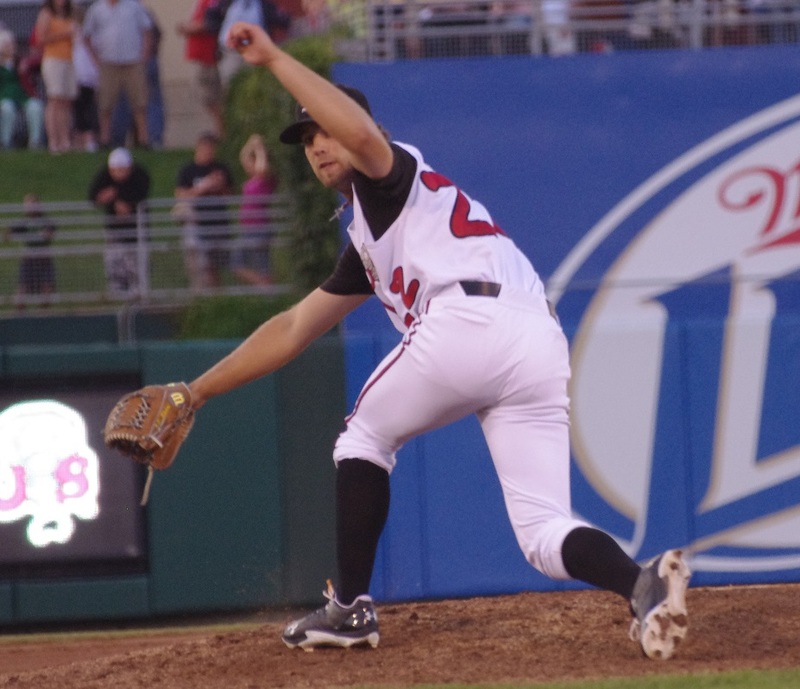 @TheRealExFactor how will large quantity of pitching prospects factor into Jays? I don’t know what @TheRealExFactor was asking here. Does he want to know if the Blue Jays will trade them all away? 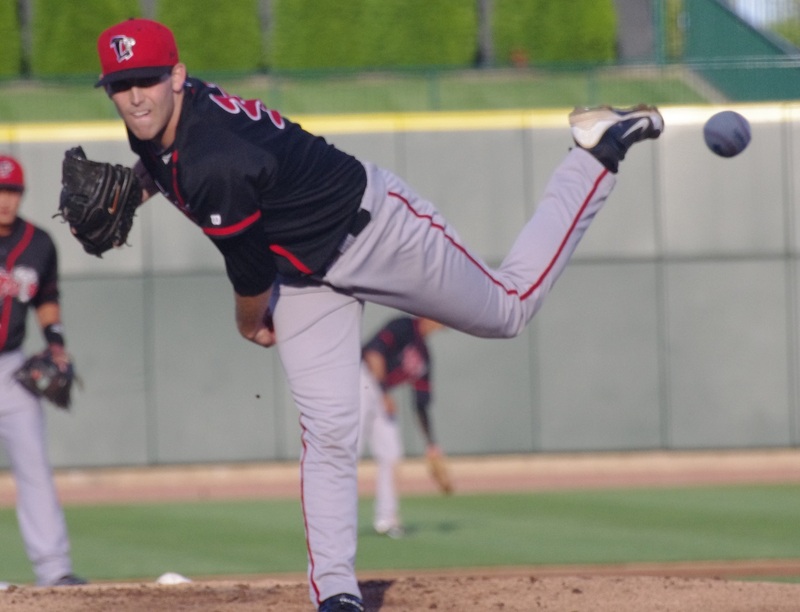 A lot of the really good pitching prospects are going to be in Lansing and are a long way away. Sure, the Jays could let them accumulate trade value and then try to trade for something else but they could also let them pitch and see what happens. @FlavourDigital who’s a fresh face on the top 100 next year. Triado [sic], Nay, Baretto, or someone else? I thought this was an interesting question. I’m not a huge fan of ranking prospects to begin with (although I will update my Top 20 after I get back from Spring Training) but I do like what I’ve seen from Daniel Norris. I think he’s really flown under the radar, mainly because his numbers haven’t been good over his two years of pro ball. That said, I think that with some of the strides he’s taken and by playing in a very pitcher-friendly league this year, Norris is set to really take off. I’m personally not as high on Tirado or Barreto right now, but mostly it’s because I haven’t seen either of them in person. I’m hoping to get my first look of both in Spring Training (hopefully Barreto’s there already) and I’m open to being convinced of their awesomeness. Well, having seen what Jared Macdonald wrote about Smoral for the 2014 Toronto Blue Jays Minor League Handbook, I’m psyched to hopefully see Smoral in Bluefield this year. Tall pitchers take longer to develop, especially lefties and, apparently, the Blue Jays are changing his arm-slot a little bit to help him take advantage of his height. Cahill: He’s one of the best RHP in baseball. Potential top of the line starter in the next couple years. Aw. Thanks for the warm and fuzzies about Sanchez, Teddy. He’s gotten some rave reviews in his limited work in Spring Training and the buzz goes back to the Arizona Fall League performance. Yes, he still struggles with his control. Yes, there may well be some refining left to do with his mechanics, but I think Sanchez is going to be poised to make a bigger splash this year in Double-A. Double-A is a level where the wheat is separated from the chaff, so to speak. His stuff is at an elite level that will be able to get even Double-A batters out. Speaking of Sanchez, Chris King of Baseball Prospectus saw him throw today against the Junior National Team. Was saying that his stuff was just filthy and other mildly scatalogical superlatives. 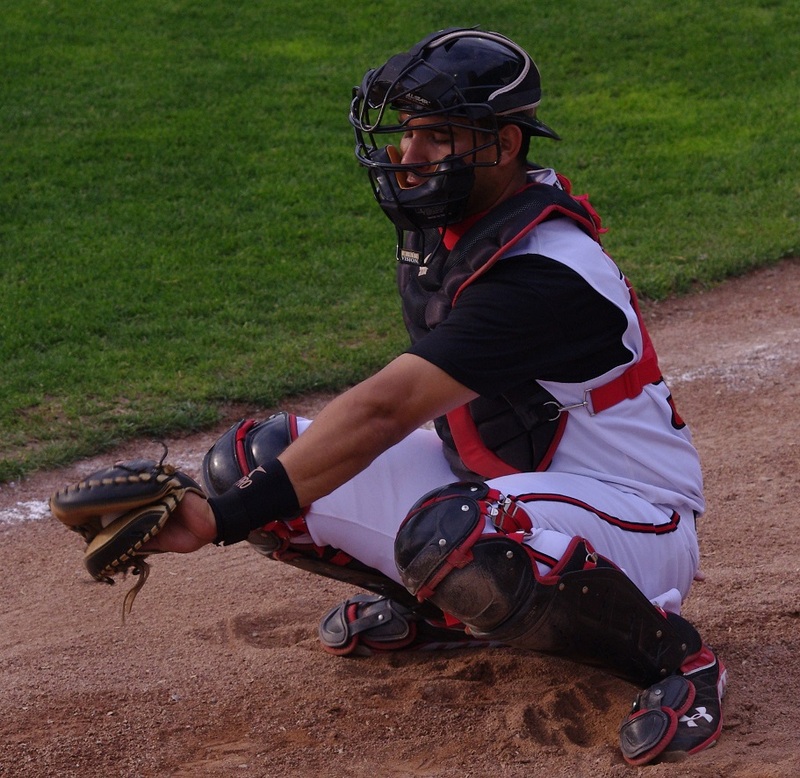 @JKirbs @MLBPipeline @tedcahill does Richard Urena look to be a good sleeper IF prospect for Jays? Cahill: I’d agree w/that. Long way to go still. 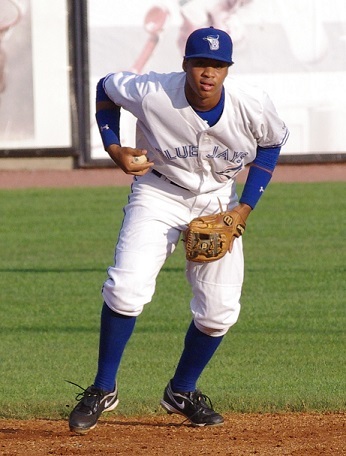 If you’re looking for a shortstop sleeper, I’d go with Emilio Guerrero (follow the link to see my write up on him at Jays Journal). The guy has an incredibly quick bat with some surprising pop and a good approach at the plate. The question for his is whether he can stay at shortstop but his work in August last year in Lansing was very impressive. @Clutchlings @tedcahill highest ceiling of hte [sic] Jays’ plethora of prospects playing A ball belongs to? Cahill: Tough one, but I’ll say D.J. Davis. That’s fair. Davis’s ceiling is huge. The biggest question I think most people have is whether he’ll ever hit it. He’s got big swing-and-miss issues right now and Lansing is going to be a big test for him. I’m excited to see if he can step his game up. I really don’t think Jimenez is a Top-100 guy (which is, I infer, what the question is asking). I wrote yesterday (in the Back to the Minors 4 blog) that the jury is still out on whether he’s going to be a big league hitter. I think the potential is there, but he needs to work on his plate discipline and get on base more. @jeffparker1985 No Matt Dean on the list. What did you hear from scouts about his bat? @jeffparker1985 is probably referring to the MLB.com top Blue Jays prospects list. The fact that Dean didn’t make the list shows two things. One: it’s really tough for first basemen to get inclusions on a top prospect list unless their bat is really special. I’m not saying that Dean’s isn’t but he’ll need to show that he can get that elite level in the coming years. Two: the Blue Jays have a ton of young pitching talent that’s bubbling up that probably projects a bit better than Dean does at this point. Not to knock him but his swing gets a bit long at times and we’ll see how he reacts to better competition this year. Cahill has a point. How do you define “pure hitter?” Lugo has probably the best “hit tool” (the ability to hit just about anything hard) in the system but his approach at the plate is going to need work at the higher levels. For my money, I like Mitch Nay as a pure hitter mainly because he can demolish the ball, doesn’t strike out a lot and will take walks. @Clutchlings77 @tedcahill how about your ultimate sleeper #jays prospect? I don’t think Nessy’s a “sleeper” either. He had a rough year last year in his first exposure to full-season ball in Lansing but I’m going to write off a lot of it due to the head injury he sustained in early May. I saw him in August and he still didn’t quite look right at the plate so hopefully a full offseason will have allowed him to heal up. For my own sleeper, I’ll give you two more names (in addition to Guerrero mentioned above), both of whom I wrote about for Jays Journal’s top prospect list honourable mentions. I won’t write too much here but I’ll include links to the lengthier articles I wrote over there. The first of the two more I’ll give you is first baseman K.C. Hobson. He’s not even considered a prospect right now, but at 23 and with a history of power hitting, even in the tough Florida State League, I think Hobson is poised for a big season. The last guy that I’ll leave you with is Matt Boyd. The tall lefty is very deceptive on the mound, has good control (thanks to the development at a strong college program) and has three usable pitches already.